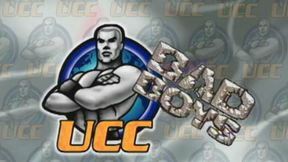 TKO UCC 3: Battle for the Belts full event replay from January 27, 2001 in Sherbrooke, Quebec, Canada. 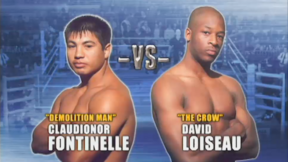 Jason St. Louis vs David Loiseau TKO UCC 3: Battle for the Belts Sat, Jan 27, 2001 (12:56) Jason St. Louis vs David Loiseau from TKO UCC 3: Battle for the Belts in Sherbrooke, Quebec, Canada on January 27, 2001. 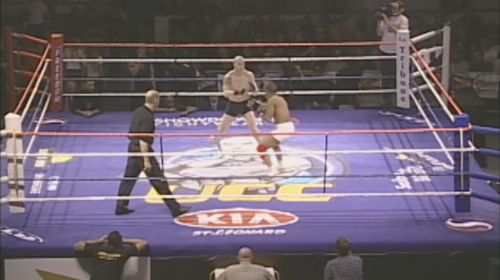 Ivan Menjivar vs David Guigui TKO UCC 3: Battle for the Belts Sat, Jan 27, 2001 (13:53) Ivan Menjivar vs David Guigui from TKO UCC 3: Battle for the Belts in Sherbrooke, Quebec, Canada on January 27, 2001. 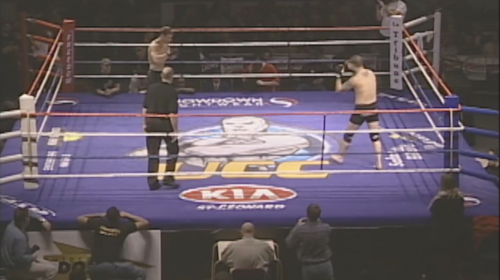 Sylvain Martineau vs Jeff Davis TKO UCC 3: Battle for the Belts Sat, Jan 27, 2001 (6:28) Sylvain Martineau vs Jeff Davis from TKO UCC 3: Battle for the Belts in Sherbrooke, Quebec, Canada on January 27, 2001. 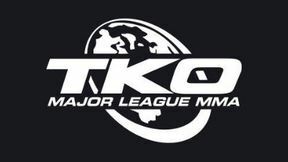 Mike Kitchen vs Jody Burke TKO UCC 3: Battle for the Belts Sat, Jan 27, 2001 (6:31) Mike Kitchen vs Jody Burke from TKO UCC 3: Battle for the Belts in Sherbrooke, Quebec, Canada on January 27, 2001. Stephan Potvin vs Barney Schisler TKO UCC 3: Battle for the Belts Sat, Jan 27, 2001 (8:49) Stephan Potvin vs Barney Schisler from TKO UCC 3: Battle for the Belts in Sherbrooke, Quebec, Canada on January 27, 2001. 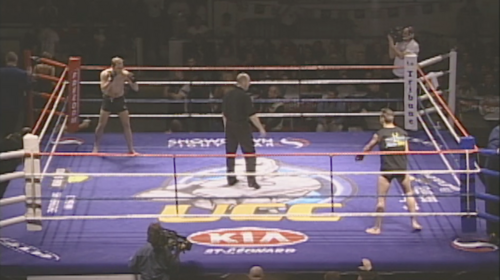 Jeromie Sills vs Robin Moulton TKO UCC 3: Battle for the Belts Sat, Jan 27, 2001 (7:18) Jeromie Sills vs Robin Moulton from TKO UCC 3: Battle for the Belts in Sherbrooke, Quebec, Canada on January 27, 2001. 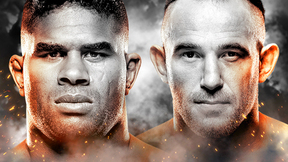 Justin Bruckmann vs Tadarius Thomas TKO UCC 3: Battle for the Belts Sat, Jan 27, 2001 (6:59) Justin Bruckmann vs Tadarius Thomas from TKO UCC 3: Battle for the Belts in Sherbrooke, Quebec, Canada on January 27, 2001. 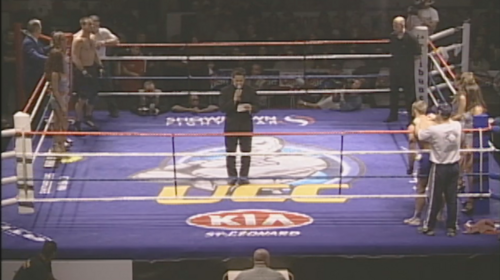 Donald Ouimet vs Dirk Waardenburg TKO UCC 3: Battle for the Belts Sat, Jan 27, 2001 (9:05) Donald Ouimet vs Dirk Waardenburg from TKO UCC 3: Battle for the Belts in Sherbrooke, Quebec, Canada on January 27, 2001. Steve Vigneault vs Shawn Peters TKO UCC 3: Battle for the Belts Sat, Jan 27, 2001 (6:45) Steve Vigneault vs Shawn Peters from TKO UCC 3: Battle for the Belts in Sherbrooke, Quebec, Canada on January 27, 2001. 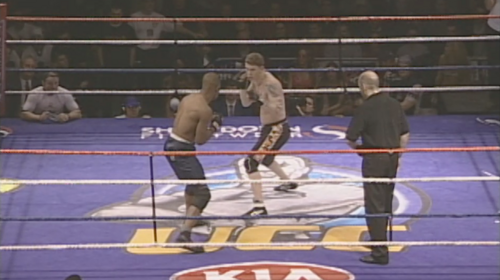 Richard Nancoo vs Jay Winger TKO UCC 3: Battle for the Belts Sat, Jan 27, 2001 (8:21) Richard Nancoo vs Jay Winger from TKO UCC 3: Battle for the Belts in Sherbrooke, Quebec, Canada on January 27, 2001. 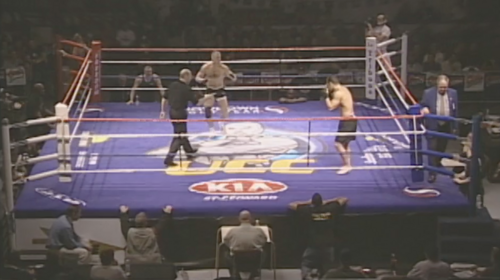 Phil Hughes vs JF Bolduc TKO UCC 3: Battle for the Belts Sat, Jan 27, 2001 (14:03) Phil Hughes vs JF Bolduc from TKO UCC 3: Battle for the Belts in Sherbrooke, Quebec, Canada on January 27, 2001. 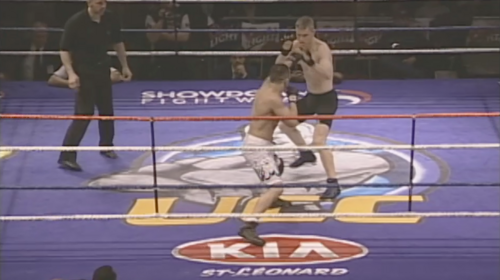 Jeromie Sills vs Stephan Potvin TKO UCC 3: Battle for the Belts Sat, Jan 27, 2001 (9:20) Jeromie Sills vs Stephan Potvin from TKO UCC 3: Battle for the Belts in Sherbrooke, Quebec, Canada on January 27, 2001.